More and more people suffer from food intolerance nowadays. The most common allergens are gluten, lactose in dairy products and refined sugar. 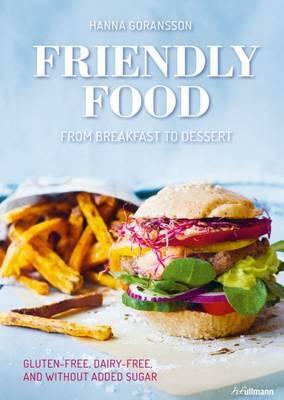 This delightful and inspiring cook book by Swedish food blogger Hanna Goransson is the first book of its kind to unite three diets in one. It offers more than 75 delicious and healthy recipes free of refined sugar, dairy products and gluten. You can chose from numerous ideas for breakfast, lunch, dinner, in-between snacks, sweets and even deserts. Whether you like sweet or savory meals, this richly illustrated book with its mouthwatering recipes covers what you're really craving - a healthy yet very tasteful nutrition. It allows you to be creative in the kitchen and enjoy food again.